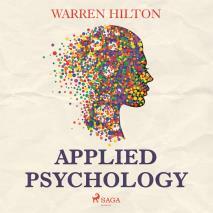 Applied Psychology, Psychology and Achievement is the First of a Series of Twelve Volumes on the Applications of Psychology to the Problems of Personal and Business Efficiency. Within Applied Psychology, Psychology and Achievement Hilton addresses the factors in achieving success by utilizing the powers each of us has within us. Subjects addressed include Attainment of Mind Control in which he guides the reader through methods to better utilize his own thoughts, Relationship of Mind Activity to Body activity where he shows how our physical body follows where the mind leads, The Supremacy of Consciousness you latent powers and purpose are exposed.